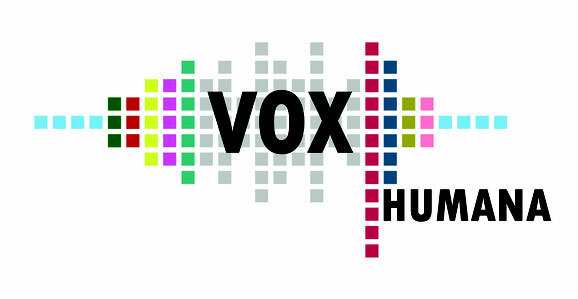 The GUMPOLDSKIRCHNER VOX HUMANA CHAMBER CHOIR, was founded in 1966 by the composer and teacher of music Prof. Josef Wolfgang Ziegler (also founder of the famous children’s choir "Gumpoldskirchner Spatzen"). Since its foundation the Chamber choir of Gumpoldskirchen VOX HUMANA has built up quite a reputation for itself both in Austria and abroad. Countless prizes and top ratings at international choir competitions as well as radio broadcasts and appearances in concert in Germany, Belgium, Ireland, Italy, Poland, Czech Republic, Hungary, Israel and Austria are a tribute to the ensemble's manifold activities and high level of performance. Intensive voice-training enables the choir to maintain its high quality although all members are pure amateurs! It is the choir's objective to remain open and to cherish all currents and styles of European and non-European choir music. The repertory comprises mainly a-capella music ranging from Renaissance until contemporary works as well as the most important works of choir and orchestra, as, e.g.. Mozart's "Requiem", Haydn's "Nelson Mass", Bach cantatas, Purcell's anthems, Haendel's Messiah, Bach's Matthaeus Passion, Beethoven's Choral Fantasy, 9th Symphony etc. Vita-Wolfgang Ziegler, chamber choir conducter and composer. Born on February 13th, 1949 in the well-known wine village of Gumpoldskirchen (25km south of Vienna) he was involved in music from his early childhood on. His father, Prof. Josef Wolfgang Ziegler , a well-known Austrian composer and choral director taught the first musical steps to him. Singing and playing the violin became his passions. After finishing high school and pedagogical studies he worked as an assistant in music education at the University of Illinois/USA. There he started composing electronic music with Joseph Pinzarrone, Phil Musser and John Cage. He got pretty much involved in the American avant-garde scene at that time. As a professional interlude he joined the Vienna Johann Strauss Orchestra playing violin on a concert tour through Canada and USA. Back in Austria he became choral director of the GUMPOLDSKIRCHNER VOX HUMANA CHAMBER CHOIR, which he is still conducting today. Lots of special studies followed with Erwin Ortner, Herwig Reiter at the Music University in Vienna and with Eric Ericson. After he had joined the professional Austrian Radio Choir (ORF-Chor) for some years he focused on conducting and composing choral music. A number of international concert tours to Germany, Italy, Czechia, Slovakia, Belgium, Hungary, Sweden, Israel, Estonia, Malta and Japan completed his musical work. W.Z. was honoured by quite a number of national and international awards. The EUROPEAN MUSIC FESTIVAL FOR THE YOUTH in Belgium appointed him “AMBASSADOR OF THE FESTIVAL.” This was a tribute to his long engagement as a jury member of this festival. In 2008 he founded CONCENTUS NOVUS, a large non-professional concert choir who had its first successful appearance with Brahms’ German Requiem in Vienna in 2008 and the professional VIENNA SYMPHONIC LIBRARY CHORUS. The latter one is working on a special electronic voice project. In 2012 he became president of the AUSTRIAN CHORAL ASSOCIATION and founded the worldwide active INTERNATIONAL CHORAL COMPETITION AVE VERUM. In 2014 he became artistic director of the professional VIENNA SYMPHONIC CONCERT & OPERA CHORUS whose successful debut was a concert with Peking Opera at the Wiener Musiverein. In 2015 he was announced artistic director of the Salzburg INTERNATIONAL CHORAL CELEBRATION & COMPETITION. Wolfgang Ziegler has been invited as jury member to numerous of international choral competitions and festivals. Some of Ziegler’s compositions are published by Edition Music Contact in Germany, European Cultural Services, Musikkultur Niederösterreich and WOZIMUSIC. Various pieces have been commissioned by international choirs and festivals.